Tecno Camon CM VS iTel S42: Specs Comparison. Tecno Camon CM (also known as Camon CMore) is the first smartphone from Tecno Mobile to feature the 18:9 aspect ratio. Their previous smartphones comes with a 16:9 aspect ratio. Which means significant bezels at the side, top and bottom of the screen. But with the Tecno Camon CM having a 18:9 aspect ratio, it becomes Tecno first bezel-less smartphone. Chinese company iTel released iTel S42, the successor of iTel S32. And the smartphone becomes the company first device to be powered by Snapdragon chipset and run on Android latest operating system. We’ll be looking at these two phones which were launched earlier this year. And see which one has the better features and specifications. The Tecno Camon CM and iTel S42 have the same kind of build body. Their back are made up of plastic with neat finishing. And then a front glass. The fingerprint sensor of both phones is at the back for added security. On the back of the iTel S42, the company’s name is at the bottom. While on Tecno Camon CM, the company’s name is just below the fingerprint sensor. The Tecno Camon CM comes with a slim 7.75mm thick. Which is very impressive from Tecno Mobile. Not sure many smartphone users like bulky smartphone. The iTel S42 measures 8.25mm in thickness. Infact the iTel S42 is taller, wider and thicker than the Tecno Camon CM. 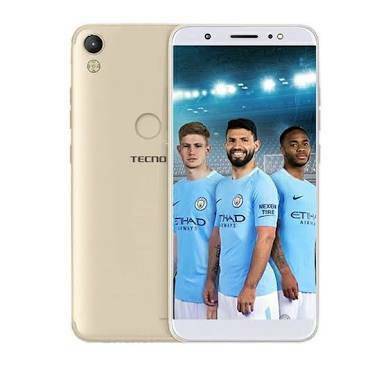 The Tecno Camon CM is available in Champagne Gold, City Blue and Mid-night Black body colors. While the iTel S42 comes in Black and Champagne body colors. Although the black is the most popular one. The rear camera and LED flash of the Tecno Camon CM is aligned in a vertical position at the top-left corner. And also the same for iTel S42. The Tecno Camon CM and iTel S42 sports a IPS LCD capacitive touchscreen. While the Tecno Camon CM screen measures at 5.7 inch. That of the iTel S42 measures at 5.65 inch. They both have the same display resolution of 720 x 1440 pixels. With Tecno Camon CM having a better pixel per inch density than the iTel S42. The ppi density on the iTel S42 is 285. While the Tecno Camon CM have a 364 ppi density. The screen of the Tecno Camon CM is protected by Corning gorilla glass 3. The Tecno Camon CM havea better display specifications compared to iTel S42. Just like other smartphones under the Camon series, the Tecno Camon CM features quality camera. The smartphone comes with a rear camera that has a resolution of 13MP with LED selfie flash. And for selfies, it features a front camera with a resolution of 13MP with flash. The iTel S42 also have similar camera resolution like the Tecno Camon CM. It sports a 13MP rear camera with LED flash and also a 13MP front camera with flash. The iTel S42 is iTel’s first smartphone to have a Snapdragon chipset. It comes with a Qualcomm Snapdragon 425 chipset with Quad-core 1.4GHz processor. Although not the latest Snapdragon version, it’s still a good move by iTel to adopt Snapdragon. Under the hood of Tecno Camon CM is Mediatek MT6737 chipset with Quad-core 1.25GHz processor. The iTel S42 will perform better in multitasking than the Tecno Camon CM. The iTel S42 runs on Android latest operating system, Android 8.0 Oreo. Which is the first iTel smartphone to run on that operating system. While the Tecno Camon CM runs on Android 7.0 Nougat along with HiOS 2.0. The Tecno Camon CM offers a 2GB RAM. While the iTel S42 offers better, with a 3GB RAM size. Both phones have the same 16GB internal storage which is expandable to 128GB by using a microSD. The Tecno Camon CM is powered by a non-removable 3,000 Li-lon battery. Which is also the same battery capacity that powers the iTel S42. They don’t offer fast battery charging system. The iTel S42 is available at about $129 (N45,150). While the Tecno Camon CM is sold for around $134 (N47,000). 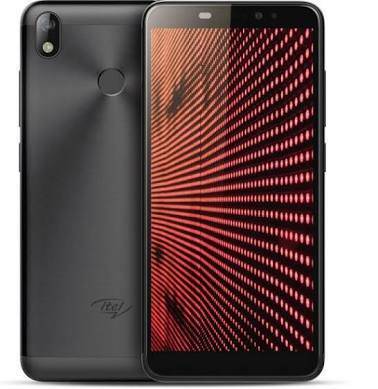 Overall, iTel S42 features good specs. It has better hardware and software than the Tecno Camon CM.